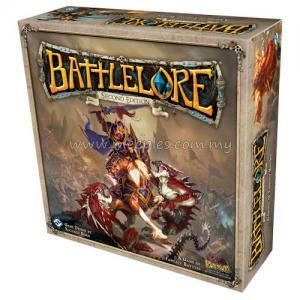 Set in the fantasy realm of Terrinoth, BattleLore (Second Edition) is a two-player board game focused on squad-based battles between the hardy defenses of the Daqan Lords and the unleashed ferocity of the demon-worshipping Uthuk Y’llan. 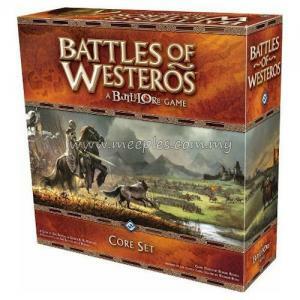 In every game, you will command armies of fearsome warriors and deadly creatures, leading them against the enemy in an intense game of warfare and military strategy. By seizing victory points from objectives on the battlefield and by eliminating enemy units, a skilled commander can raise his banners as the victor over the borderlands of Terrinoth!